Flip a 500 Rupee Indian currency note and you will see an image of Mahatma Gandhi leading ten people on a march. The iconic Gyarah Murti in New Delhi signifies genius of Mahatma Gandhi, It was a stroke of inspiration to suggest that something as mundane as salt can shake the foundations of the mighty British Empire. The Gyarah Murti statue is an apt tribute to the historic Salt March to Dandi lead by the Mahatma. To commemorate the momentous Dandi March Government of independent India commissioned a statue. The statue was to be erected at the T-Junction at Sardar Patel Marg close to President’s Estate in New Delhi. 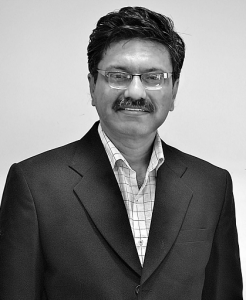 The best available talent was sought and the choice fell on Deviprasad Roychowdhury who had to his credit a number of outstanding memorials including the famous Martyr’s Memorial in Patna Secretariat, the Triumph of Labour Statue at Marina Beach, Chennai and Gandhi statues at Chennai and Kolkata. With such a stupendous body of work, the Dandi March statue was in the best hands and outcome of which was the Gyarah Murti (eleven statues). 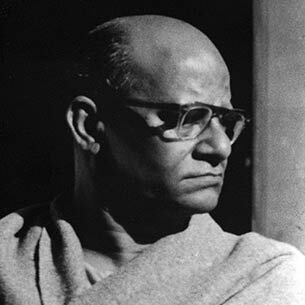 Born in Tejhat, Rangpur district in now Bangladesh, Deviprasad Roychowdhury (1899-1975) learnt sculpture from Hiranmoy Roy and trained in art under Abhanindranath Tagore, the nephew of the poet Rabindranath Tagore. He was a faculty at the prestigious Indian Society of Oriental Art (est 1907) for more than two decades. Deviprasad came to Chennai 1929 as the first principal of Madras School of Art. He was instrumental in establishing Madras School as a top art institute in the country. He was teacher to some of the top-notch talents including Nirode Mazumdar, Prodosh Das Gupta, and Paritosh Sen. Deviprasad is the first Indian artists to sculpt in bronze. Devi Prasad was quite a maverick and unorthodox in approach. Once while painting he spilled coffee on it. Students watching him expected that the canvas would be discarded. Instead, Deviprasad ordered for more cups of coffee and poured all over the canvas and made it one of even tone. A celebrated artist, he was also the first chairman of the Lalit Kala Academy and a Padma Bhushan awardee. His sculptures are inspired by the impressionist works of the French sculptor Auguste Rodin. The landmark Gyarah Murti statue gives a sense of motion, purpose, inherent determination and urgency– characteristic of the Dandi March. It is quite strange that there is virtually no published material available on Gyarah Murti. We at Probashi could glean pieces of information through discussions with people whom we thought might know about the artwork. 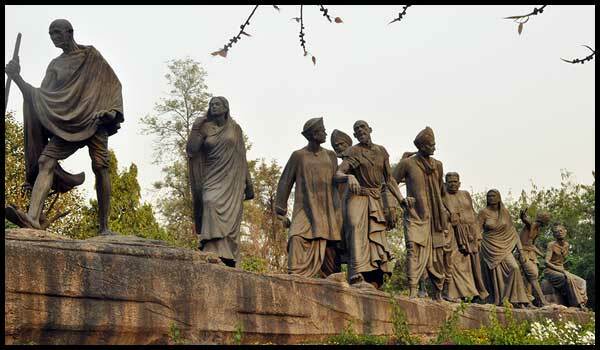 Of the eleven figures depicted, one is obviously Mahatma Gandhi, leading the pack. The two ladies in the statue are modelled on Matangini Hazra and Sarojini Naidu. One of the male figures was identified to be modelled on Brahmabandhab Upadhyay, freedom fighter and thinker. The fourth figure is Abbas Tyabji who was second in command of the Dandi march. Deviprasad expired before the sculpture could be completed and his wife and students completed the statue. About a decade back it was found that Mahatma’s glasses which was part of the Statue had been stolen. Delhi Police has put a permanent picket at the site since them. The glasses were neither found or replaced. However may we add glasses or no glasses, Mahatma had vision and was farsighted. The question on who decided to have the Gyarah Murti on the Rs.500 currency note is difficult to answer. The currency department of the RBI makes recommendation on the currency design. The final choice is made by the Finance Ministry. Who in the Ministry takes the call is opaque. Internationally many countries have committee of historians and designers who suggest what would go on a currency note, however in India, it is left to the bureaucrats to decide. The great historic march has been frozen in bronze for the future generation of Indians by Deviprasad Roy Chowdhury. Hope we remain true to our salt. Mr. Debiprasad Roy Chowdhury was a legend. I still remember the Gandhi statue (it used to be at the crossing of Park Street & Chowringhee Road of Kolkata) created by him. Irrefutably fabulous with appreciative detailing. That statue is so natural that it lucidly conveys the class of a sculpture he used to create. Simply superb! !